NO, NOT OLD LADIES, but two gals who have been friends for a very long time!!! 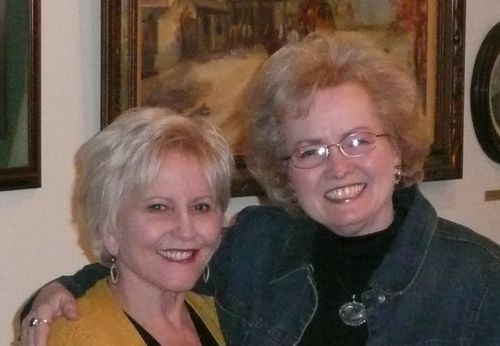 03/20/10 - Judy Kennedy and Karla Lofgren Davis met for lunch at the Stagecoach Inn in Salado, Texas (half way between Waco and Austin) and got semi-caught-up on what has been happening in their lives during the last 25 years - since they last visited in person at the the 25th reunion. Karla said, "Some things never change - best friends are still best friends. I hope the young folk have a BFF as wonderful as Judy - Best Friends Forever!"